"It’s not how we promote ourselves as a Tour and Travel Operator - or an Event and Conference Organizer that matters - -but it’s actually the way we perform and succeed with our customers - according to what we promote that matters!" We offer a wide range of high quality inbound travel services from - personal and individual guided excursions - exclusive sightseeing city tours - as well as special field trips - inspirational walkabout tours - personal transport - plus airport - and cruise terminal transfers - door to-door transportation - conferences and seminars - tailor made joint venture packages and special event programs - accommodation - culinary dining and drinking tours - various team building and sport activities - entertainment and nightlife - cruise conferences - seminars - travel incentives - outbound tours & services - and rent a castle arrangements for your next event etc. Our speciality and expertise are Incentive programmes & solutions - Guided Excursions & Cultural Field Trips - plus organizing and conducting Conferences & Receptions. 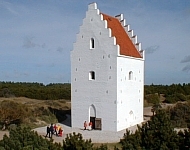 But most of all - our speciality is also to take care of our customers - while they stay in Copenhagen and Denmark. Trust and responsibility - Our area of excellence and expertise. You can trust us to take the full responsibility and commitment for organizing and planning your next group transfer - door to door transportation - corporate accommodation - excursion - creative event - conference - incentive programme - business meeting - working seminar or other leisure and company related arrangements - as we know Copenhagen and Denmark better - than many others - and also because it's our native home base! We call the INBOUND TRAVEL SERVICE concept - our area of excellence and expertise. We provide customized solutions for MICE related travel requirements and services - and can plan and organize MICE activities and programmes - as a turnkey project with a flexible building block system - where all objectives in the various stages of the MICE package are achieved and completed - just to hand over to the customer. MICE tourism and arrangements with larger groups - requires long term preparation and commitment - which focuses on the topic and agenda - outlined by the customer. Our MICE concept basically includes Meetings - Incentives - Conferences - Events etc. - plus other business and corporate related initiatives that create economic activity and development across the globe. Please contact us by filling out the Contact form and tell us what you are seeking - and how we can help - as we offer a wide range of tailor made - and customized Inbound Travel Services - as well as Event Solutions - Conference Arrangements and MICE Programmes. We will then study your feedback and estimated budget together with our inbound performance program - and send you a proposal - as all requests are individually arranged and organized. 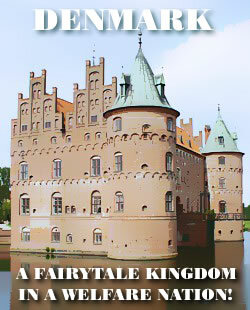 We can take you Here - There & Everywhere in and around Copenhagen & Denmark! 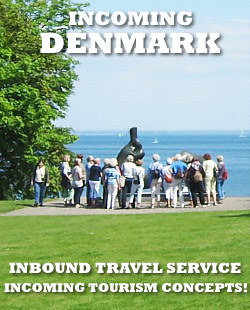 This Destination Tour & Travel Service Site will be updated continuously - Inbound Travel Service Denmark.